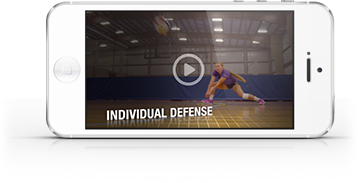 The Art of Coaching Volleyball story begins with three friends, all of them exceptional coaches, all of them lifelong students of volleyball, all of them possessing a strong desire to teach the game they love to anyone who shares their passion! 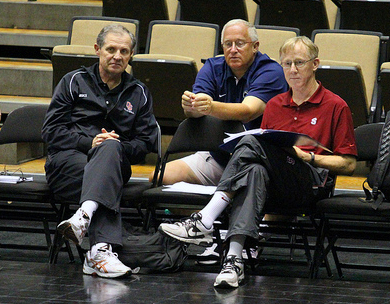 Russ Rose, John Dunning and Terry Liskevych met in the 1970s. Terry and Russ connected first – in 1973, when Russ signed up for a volleyball class taught by Terry at George Williams College in Illinois. 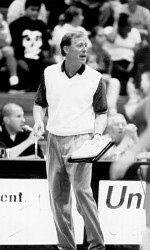 Terry was also the assistant coach for the school’s men’s volleyball team under head coach Jim Coleman. At the urging of both Terry and Jim, Russ joined the volleyball team and, as the saying goes, caught the bug. Long story short, Russ stuck around long term. Today, as head coach of the women’s team at Penn State, he has more wins (1,161) and titles (7) than any other women’s coach in the history of Division 1 volleyball.